This college also released the second cut off list for the candidates applied for the admission. In Ramanujan college, the cut off for B.Sc computer Science is 95.5%. Also B.Sc mathematics honors have cut off of 95% and English honors at 92% in the second list. Delhi University has their counseling process completely based on online. It is very thankful that the first cut off list in DU is below 100%. However, it is still difficult for the candidate applied to get admission in Delhi University. Political Science, History (honors), English (Honors), B.com (honors) are the top choices of the students in the first cut-off lists. As many of the students cannot cross the cutoff. For those students second cutoff the list has been released. They can get another chance to get admission in Delhi University. Delhi University second cut off the list will be uploaded on the main website. The main website of Delhi University is www.du.ac.in. The students who want to get admission in it can check their cut off, Marks. The students have only three days to get until next cutoff is released. Many colleges vacancy are filled in the courses in B.com and Economics. However, Delhi University announced the second cut off the list on Monday late night with the considerable drop in percentage. Ramjas College has announced the highest cutoff of 99.25% for B.com honors, 98.75% for B.com and 98.5% for Economics. Then in the second list honors brought down to 97.5%. Lady Shree Ram College announced the second cutoff lists in which there is a cut off of 98.25% for psychology honors. For the B.com honors, it is 97.5%. In Miranda House, Economics have a cutoff of 97.25%, for Vocational Studies it is 96%, for Daulat Ram college it is 96.25%, for Shaheed Bhagat Singh College and Shree Guru Gobind College it is 97% and for SRCC it is 97.75%. 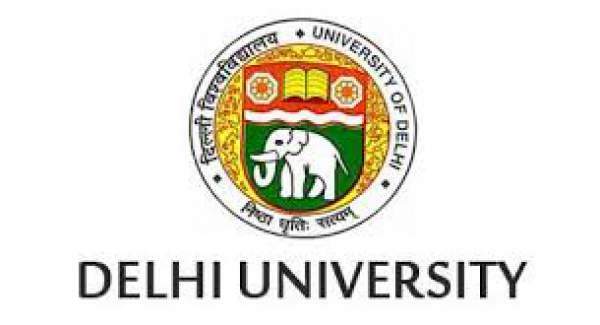 2.5 lakhs candidate apply for the admission in Delhi University, and there are only 54000 seats. This is the first time that university make entirely online counseling. However in previous years there were both online and offline counseling. Stay tuned for latest education news and all government jobs updates.